Some cool stuff I always have available. 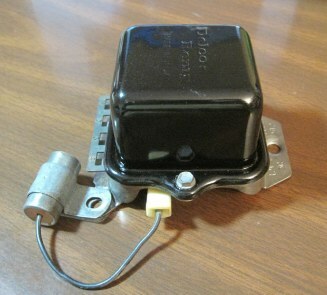 Delco Voltage Regulator #515 - $150 ea. Delco Voltage Regulator #512 - $250 ea (Please call for availability). 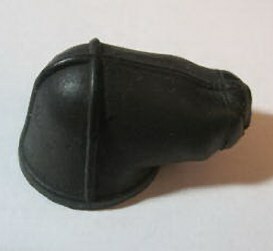 Original Delco Remy Alternator Boot. 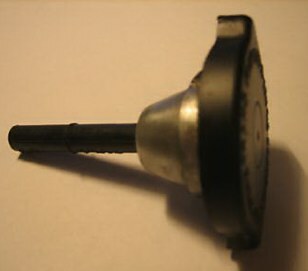 Perfectly correct for all GM vehicles - 64L 65 66 67 88 69 70 71. EXACTLY CORRECT FOR NCRS AND BLOOMINGTON JUDGING--WITH THE CROSS ON THE TOP. 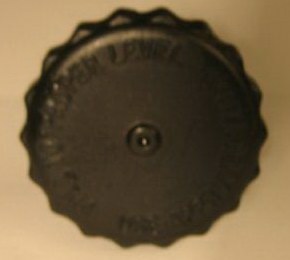 60-72 Oil cap - Very nice - 100% all original part - reads: ENGINE OIL FILL AC FC2. 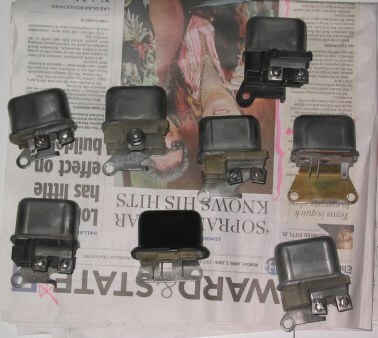 These were to be painted engine color and installed on the valve cover. 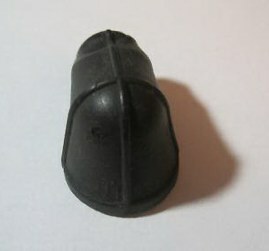 65-72 Oil cap - Very nice - 100% all original part - Correct S logo cap. 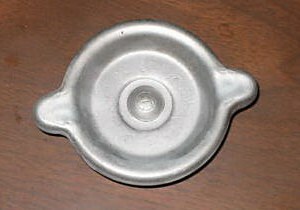 Used by many of the GM cars - mostly Pontiac, Chevrolet with painted covers. 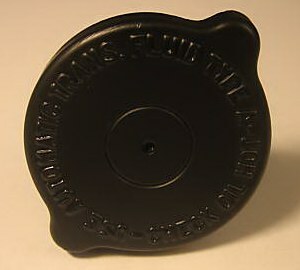 Top reads: "FILL TO PROPER LEVEL --- USE APPROVED FLUID"
Later years and replacement caps are different they have an inner circle and read "do not overfill"
Top reads: "USE AUTOMATIC TRANS FLUID TYPE A - CHECK OIL HOT"
Top reads: "USE AUTOMATIC TRANS FLUID TYPE A "
Exact Replica of the Early Power brake booster check valve. 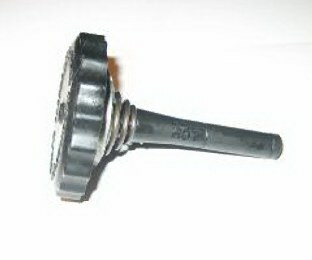 Power Brake Booster Check Valve. The GM replacements look nothing at all like these old ones. 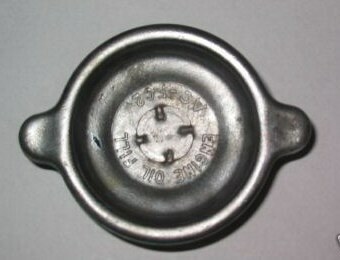 A must-have for that NCRS or Bloomington Gold correct restoration. Tested, and working as it should. Guaranteed. 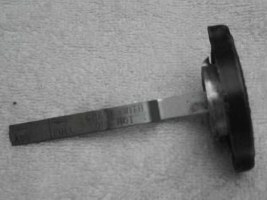 Exactly like they are supposed to be - Not one of those re-plated, over-restored parts. Some are limited quantities - please ask before buying more then 2 of the same number. 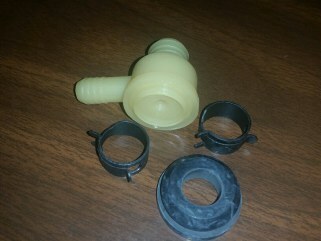 I have a HUGE stockpile of cool little parts (and big ones too) for all types of GM cars. No body parts - and most of my engine components are Chevrolet. Copyright ©2002-2019 broachbuster.com. All rights reserved.